“In the jungles of the planet Edaline, a mysterious species known as the Squamata has long avoided the planet’s human colonizers. 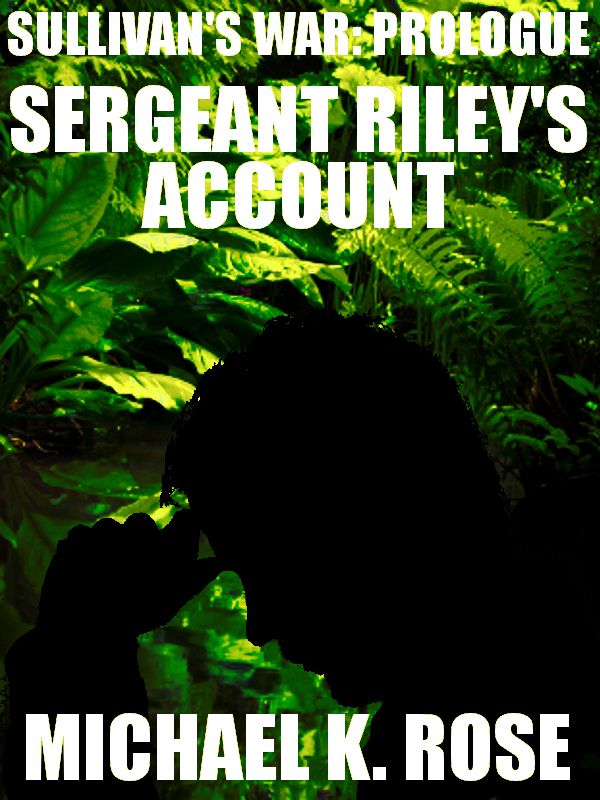 But as the only survivor of an apparent attack by the Squamata, Sergeant Leonard Riley knows that the government’s official version of events is untrue. Now he must make a choice between protecting the government he once proudly served and exposing the lies and corruption of an oppressive regime. Length: 10,000 words/40 pages. I’ve been wanting to read Michael K. Rose’s Sullivan’s War books for months now and haven’t gotten to that part of my to-be-read pile just yet. But tonight I have a little down time for a short read, and decided to at least start with the Sullivan’s War Prologue, Sergeant Riley’s Account. This is just the short story I needed to sit down with. It’s a fast ready, yet it has a lot going on inside it where it’s memorable. As the description states, this is a stand-alone story, yet at the same time it fits perfectly as the start of something much bigger. As I stated this story was a fast read. It flowed from beginning to end as the action moved along. As the story kept unfolding I kept turning the pages, but I didn’t want it to end. I was only left wanting more. I wanted to know what happens next. I wanted to see the politics of Edaline more, and I’m not very in to politics. I wanted to see the aftermath of the ending. What am I saying? I’m saying that I want to read Sullivan’s War now! Luckily, I have it loaded up on my Kindle already for what I can dive into those three books. This entry was posted in Review and tagged Michael K. Rose, Michael Rose, Prologue, Review, Sci-Fi, Science Fiction, Sergeant Riley's Account, Series, Short Stories, Sullivan's War, Trilogy. Bookmark the permalink.